Do you ever bother if your WordPress website is fast enough? Maybe you’re or maybe you’re not. In either case, since you haven’t figured it out yet. I am going to provide you some useful inputs to find out if your website is fast enough for mobile users or not. If it’s not fast enough what are the reasons and what you should do about it. Now, before going anywhere, I would like to share some valuable information about the speed of WordPress website. Well, just so you know, if your website takes more than 3 seconds to load in a mobile device of the user, they tend to leave your website. Do you know how many percents of people does that? 53 percent. So see you’re losing more than half of your audience before loading. Well, you might have got pretty big reasons to worry about after that. You need to focus on these three seconds fellas. The first impression is the last and you don’t have a good one by making your viewers wait for 3 seconds to load. A study recognizes that every one-second delay after three seconds brings you 7 percent of loss in conversion. That is certainly not a good sign. 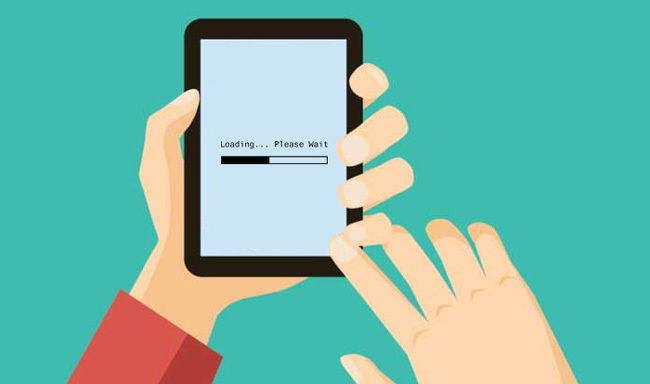 The last one for you, over 40 percent of people using mobile device expect your website to load in less than three seconds. Don’t you dare to think that 60 percent of other side thinks the opposite? Well out of the remaining, 43 percent of them wants the website to open in less than two seconds. How can you Measure your WordPress website’s loading speed? Your server speed is the engine of your website. If your engine is faulty you cannot even imagine cruising. I am going to provide you a list of 5 plugins and tools that are going to help you find what is the status of your engine aka server speed (That’s your website’s speed also). – Bitcatcha Server Speed Checker: This formidable tool checks the speed of your server response time. – Google Page Insights: This tool will measure your overall website speed and present you in bite-size parts. – WhichLoadsFaster.com: You can analyze your website’s speed with that of your competitors. This tool can really heat up the competition. – Load Impact: If you face an unexpected traffic rise, then how drastically your website speed would fall. Load Impact lets you presume that condition and you can measure your estimated page speed through that. Now you know your website’s speed in all the possible ways and now you need to work on the reasons that slowing down your website. Let’s have a look into those factors that are affecting your website’s speed. 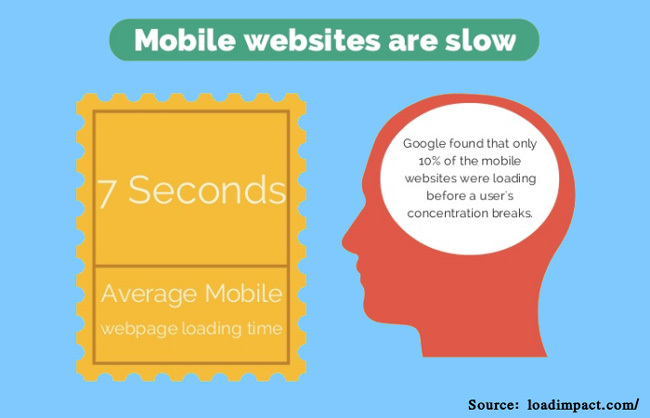 Why your Mobile WordPress Website is Slow? Now, the following are the general causes of your slow loading mobile websites. Have a look at these pointers and I have tried my level’s best to provide you some actionable tips which can help you in order to bring all things back together. You must take advantage of web browser’s local cache. Most of the website doesn’t do that which leads their website on slow loading every time the user opens it. This makes your website’s bounce rate higher than ever. Make use of caching plugins in WordPress, such as WP Rocket; W3 Total Cache and Cache Enabler. All these three are very efficient and will help you to overcome this speed issue. Shared website hosting mostly cause speed issues. They are crucial for small brands but they are very less speed efficient. For high traffic websites, you might need to get yourself some custom hosting configuration or a dedicated hosting which can withstand such huge volume of traffic. Now, if your website is full of images and to be quite frank images with significant size. Then it is obvious that it will take its time to reload. This is where you need to optimize the size of the images. The size must be under control in such a way that the quality doesn’t get affected. You can use WordPress plugins for image optimization such as EWWW Image Optimizer, Smush Image Compression and Optimization and CW Image Optimizer. Now, there are many websites that use many kinds of external media sources such as YouTube videos, Flickr Images etc. Using these external sources can make your WordPress website very slow. So, first, avoid excessive use of external sources and second, if there is no possibility to avoid external sources, use embed videos and images. WordPress supports the embed formats so, just copy the embed link and paste it and get it done. There are cases where the websites are designed exclusively for desktops, so when it is opened on the website, their main elements breaks. This creates a hell of a mess. Also, it takes more time than ever to load. You can opt for mobile responsive themes from WordPress inventory. That will make your website responsive in mobile devices and will load faster than before. So, these are the major problems that are faced by loads of people just like you. The solutions are quite simple but still, it needs your attention. So, you need to wake up and start making things right for your website. Mobile responsiveness is very crucial for modern websites. So, you don’t want to miss any of the opportunity. I hope you like my article about WordPress Mobile Websites. Have any opinion about the topic? Feel free to contact me via comments. I usually reply instantly, So, hope to see you soon. Jaon is a passionate blogger and a WordPress enthusiast. He been associated with a WordPress development services provider company – Wordsuccor Ltd for last 5 years. Jason can be found here working on custom WordPress development and theme customization with his team of dedicated WordPress developers. You can follow his company on Facebook and Twitter.